If you bought a car that has a history of winning best in class for performance and engineering, then taking it to just anyone for service doesn’t make sense. Bring your BMW in to see a Bob's Service Center BMW Repair and Service technician and specialist to make sure the level of performance you expect is maintained throughout the life of your car. Whether you have the 1, 2, 3, 4, 5, 6, 7, M or Z series we have the OEM parts and approved replacements you may need on hand. 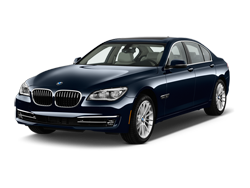 If you own one of BMW’s new Active Hybrid series vehicles, there is no other choice in Spokane for quality BMW repair and service than Bob's Service Center. Our qualified technicians know what it takes to service a hybrid BMW. The same ingenuity that has made BMW a world leader is in their innovations in applying hybrid drives and fuel technologies. If you go for your BMW service to any business, you don’t have any guarantee that they will have the right diagnostic equipment to properly test the BMW system. At Bob's Service Center, we can provide quality BMW Service because we are prepared to take care of this specialized brand of car. Call and make an appointment at Bob's Service Center in Spokane for your next scheduled BMW Service appointment. Our friendly and professional staff can make sure your service is done efficiently and you will be back out on the road enjoying the performance you expect from your BMW. We have appointments that will fit any schedule, so call today and get your Spokane BMW repair or service done right.